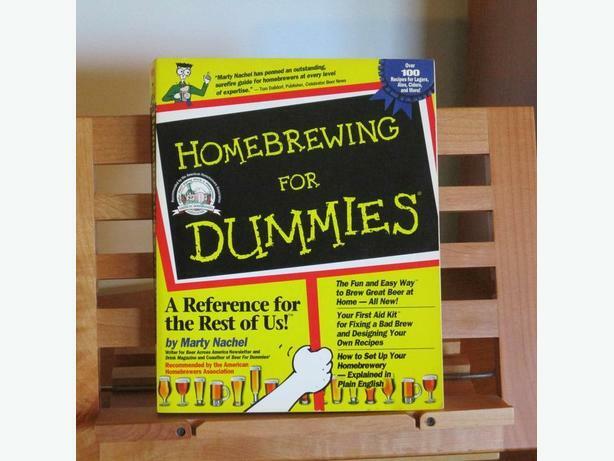  Log In needed $10 · Homebrewing for Dummies by Marty Nachel, Make your own Beer! If you like beer, why don't you make it yourself as a hobby for a fraction of the price? This book guides you through all the steps you need to know. Information includes recipes, equipment, science behind it, troubleshooting, and much more! This educational textbook is great gift idea for beer lovers and enthusiasts alike. Like new condition.